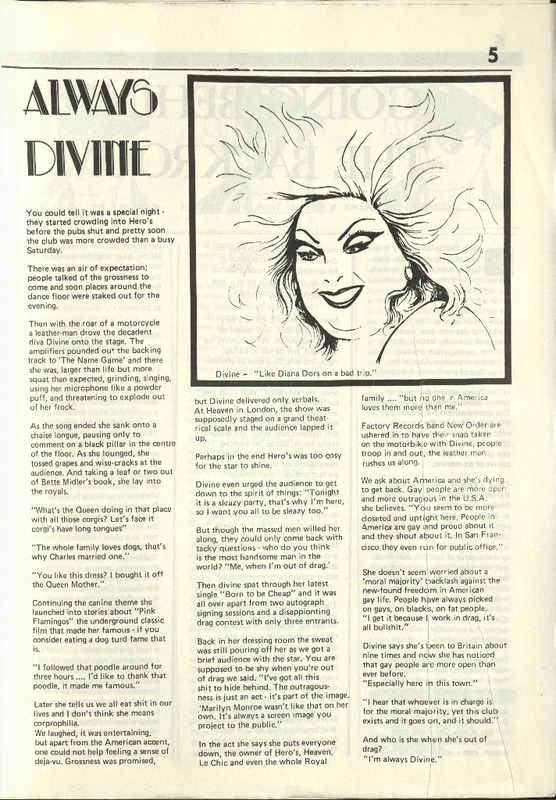 A review of Divine at Hero's 1981. She arrived onstage on a motorbike. Seems the reviewer felt there was a shortage of 'grossness'! Hilariously, it states that New Order had their photo taken with Divine on the motorbike. There's a picture I'd like to see.